Asarum europaeum, is a species of wild ginger (unrelated to the rhizome spice ginger) with single axillary dull purple flowers, lying on the ground. The root is ash-colored, 2 or 3 lines in thickness, 4-angled, contorted, rough; has a pepper-like odor, a biting, spicy taste, and yields an ash-colored powder. Its properties are taken up by water or alcohol; boiling evaporates and age impairs them. The leaves have virtues similar to those of the root; they have a very feeble odor, a taste like that of the root, with some bitterness, and produce a green powder, having a yellow tinge. Asarum europaeum is a European plant, wherein, it ranges from southern Finland to northern Russia. Asarum europaeum also grows in Italy, Bosnia and Herzegovina, and southern France and in Republic of Macedonia. To an extent, this species of wild ginger also grows in UK, Sweden, Norway, Netherlands and Denmark. 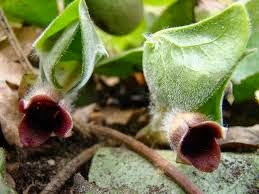 Asarum europaeum grow in moist, hilly woods, and presenting a single, bell-shaped, dingy-brownish-red flower from May to August. The root and leaves are used in medicine, and when recent are quite acrid. They should always be carefully dried for preservation. Asarum europaeum has been widely used in Europe in many ways, especially as a medicinal herb and repellent. Asarum europaeum has been used to ward off moths, as rat poison, textile dye, and in folk medicine as e.g. a diuretic, emetic and to end pregnancy. The desired effect comes from administering the right dose, which has demanded knowledge and long experience. Nowadays asarum europaeum’s most important use is probably as shady ground cover in gardens. Asarum Europaeum (Asarabacca) has a long history of herbal use dating back at least to the time of the ancient Greeks, though it is little used in modern herbalism. Asarum europaeum produces nasal irritation, followed by free secretions, which flow persistently. It is emetic, cathartic, and errhine. Used principally as an errhine in certain affections of the brain, eyes, face, and throat, toothache, ophthalmia, and paralysis of the mouth and tongue. Asarum europaeum is said to be used in France by drunkards to produce vomiting. 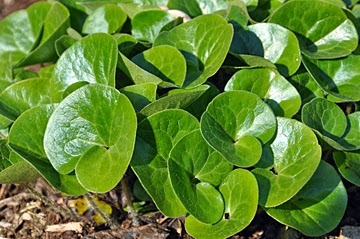 Despite serious safety concerns, asarum europaeum is used for bronchitis, bronchial spasms, and bronchial asthma. Women use asarum europaeum to start their menstrual periods and cause an abortion. Virginian Snake-root (Aristolochia serpentaria) and other allied species are used as antidotes to the bite of venomous snakes. An essential oil in the asarum europaeum root contains 50% asarone and is 65% more toxic than peppermint oil. This essential oil is the emetic and expectorant principle of the plant and is of value in the treatment of digestive tract lesions, silicosis, dry pharyngeal and laryngeal catarrh etc. Asarum europaeum can result in skin irritation when handled with bare hands; hence, it is advisable to take care and wash the hands immediately after holding the herb or any of its parts. Asarum europaeum that is not contaminated with aristolochic acid is POSSIBLY UNSAFE when taken by mouth in large amounts or for longer durations. Large amount of Asarum europaeum, even if it is free from contamination, may cause nausea, vomiting, burning of the tongue, diarrhea, rash, and paralysis. Cell mutation can be caused by kidney failure and cancer that are a result of consuming this herb’s flowers, which contain the harmful aristolochic acid. Pregnancy and breast-feeding: It is LIKELY UNSAFE to take asarum europaeum if you are pregnant. It might start your period or cause the uterus to contract. These effects might cause a miscarriage. Avoid use. Not enough is known about what effects asarum europaeum might have on a nursing infant if taken while breast-feeding. Stay on the safe side and avoid use. Stomach or intestinal (gastrointestinal, GI) problems: asarum europaeum can irritate the GI tract. Don’t use it if you have ulcers, inflammatory bowel disease, or Crohn’s disease. Asarum Europaeum (Asarabacca) can not take any responsibility for any adverse effects from the use of plants. Always seek advice from a professional before using a plant medicinally.